This is the kind of news about Carolina artists that I love to hear! Y'all remember when I blogged about all of the changes in the Carolina hip hop scene, I mentioned Randy Roper and how his Million Dollar Dreamz team had been growing like crazy over the past year? Well at that point in time I knew the great news about Charleston, SC emcee Lil Righchus Matt Monday but it had not been made public yet. Well this week the word is finally out. Matter of fact, if y'all had been following Lil Righchus Matt Monday on Instagram, he'd IG'ed a few pictures of him and Dame Dash working in NYC recently. Matt Monday (formerly known as Righchus), has officially partnered with Dash's BluRoc Records and DD172 media collective. Through the deal, Matt Monday will have total creative control plus ownership of all his work with the material's distribution through Dame Dash's label and multiple outlets (he also owns a magazine, art galleries around the world -Charleston, Tokyo, NYC- an oil company + more). As a rewind, both of Matt Mondays' last two projects landed on my end of year lists. Sweetgrass and Supras was on The Top Carolina Hip Hop Releases Of 2011 list. 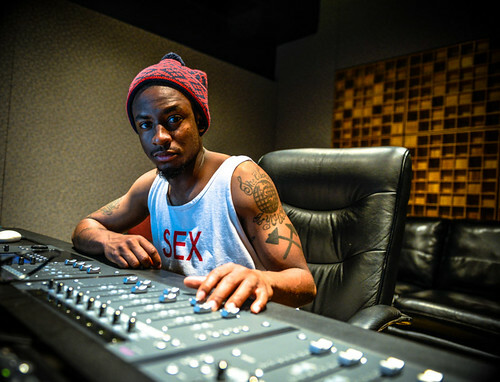 His Black Cradles mixtape, which dropped last year, made The Top Carolina Hip Hop Releases Of 2012 list. Both were very dope, y'all should check of them out. I'm very proud of Matt because I like to see artists from the Carolinas win and prosper. Especially the ones who release great music. Congratulations to Matt, Randy, Tawana and the entire MDD/S.W.I.M. team! This entry was posted in News and tagged Dame Dash, DD172, Matt Monday, Million Dollar Dreamz, Randy Roper, Righchus. Bookmark the permalink.